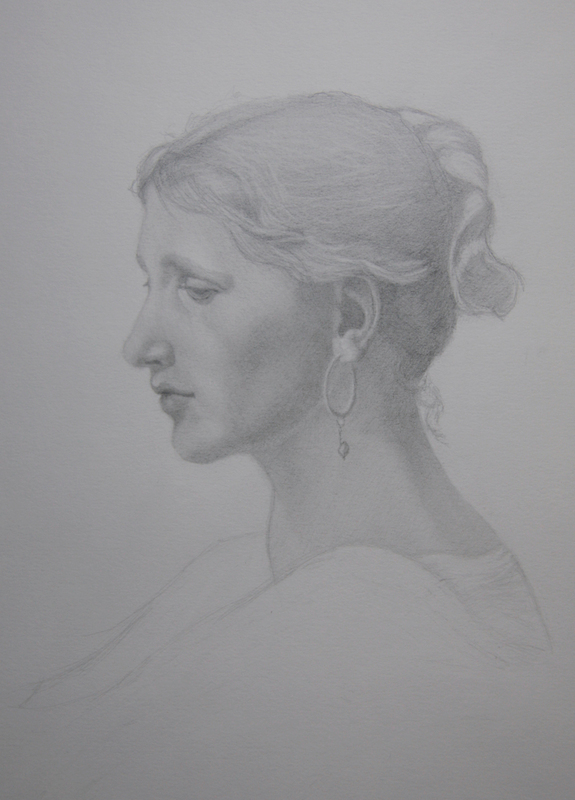 This is a graphite study of Plate II, 23 which is a copy of a study of A Roman Woman by Adolphe-William Bouguereau I did recently which will be on display for the Instructors Exhibit at Port Moody Arts Centre. The Opening Reception is tonight from 6-8pm. I will have several other piece on display in oil, acrylic and watercolor and it sounds like a very full show with lots of pieces but all the instructors at the Centre which I am looking forward to seeing. My Adventures in Acrylic class starts at 7pm tonight so I will have to leave the opening early. If you would like to join me for the class, registration is still open and there are a couple of spots left. If you are interested in joining me for classes register online at Port Moody Arts Center Online Link or call 604-931-2008.